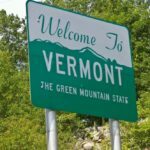 Unlike most crowded and polluted water sources across the globe, the lakes and rivers of Vermont have an overwhelming sense of cleanliness and seclusion from the hustle and bustle of city life. And that’s why fishermen (and women!) enjoy coming from across the 50 states to explore our plentiful outdoor recreation. When your state has more than 180 fishing access areas, chances are you’ll achieve some success if you’re an avid angler. For a list and map of fishing access areas, including places to launch your boat, check out the VT Fish and Wildlife site. Before moving to Vermont, I fished under a handful of times. Now it is one of my favorite past-time activities. If you’re looking for a hobby that will quench your thirst for adventure, this could be your life’s next big catch! Grand Isle, Button Bay and Burton Island State Parks on Lake Champlain; Bomoseen State Park on Lake Bomoseen; Branbury State Park on Lake Dunmore; Brighton State Park on Spectacle Pond; Camp Plymouth State Park on Echo Lake; Elmore State Park on Lake Elmore; Emerald Lake State Park; Gifford Woods State Park on Kent Pond; Half Moon State Park on Half Moon Pond; Lake Carmi State Park; Lake St. Catherine State Park; Little River State Park on Waterbury Reservoir; Silver Lake State Park; Stillwater State Park on Groton Lake; Wilgus State Park on the Connecticut River; Woodford State Park on Adams Reservoir. This 2017 year, “Reel Fun Week” will take place between July 10-17 to celebrate the sport of fishing in VT state parks, so come on out and bring the family to a Vermont event like no other! If you happen to miss the occasion, there will be clinics, coordinated by the “Let’s Go Fishing” program, throughout the summer to help children and adult new to the sport learn the basics of one of Vermont’s favorite past-time activities. They will cover the basics of fishing, including knot tying, fishing regulations, tackle selection, fish identification, and fish habitats. It is sure to be a delight for visitors and Vermont families. Father’s Day is a weekend of celebration, and in Vermont, families wake up at 4am, pack up their boating supplies, and travel hundreds of miles to gather together on Lake Champlain and compete in the annual Father’s Day Fishing Derby weekend. It’s a time when parents and their children have the opportunity to build a lasting bond for the memory books, one that includes outdoor adventuring, completely unplugged from the normal static of our digital world. There’s no greater feeling that of floating on the open water, taking in breaths of fresh mountain air, and sharing some laughs with fellow nature enthusiasts. Often, more than 20,000 anglers participate in this tournament. Prizes range from fishing & navigation equipment, to cash, to a fishing adventure in Alaska. There’s even a “Little Anglers Derby”, for kids under 14. This is by far one of the best ways to feel in touch with nature while spending time with your loved ones in a healthy environment. Vermont has a large population of native fish; including various species of trout, bass, pike, pickerel pumpkinseed, walleye, perch, smelt, and catfish. In addition, the Vermont Fish and Wildlife has a number of hatcheries, where they raise 7 different species for stocking. Annually, the department releases over 1.5 million fish in streams and rivers throughout the state. The reason is to restore the fish populations, as well as enhance anglers’ experience. Learn more about hatchery locations here. Different locations and different fish offer different schedules. You’ll want to check the VT fish and wildlife website for your local regulations, especially for Walleye. Catfish is always easier to fish off the beach of Lake Carmi in mid April to mid May before the water warms up and they can find food further out. Most fish on Lake Champlain will have no closed season. Fishing in streams and ponds often begins in early Spring and ends in late Autumn. Lake Champlain is one of New England’s finest ice fishing destinations. Every year, you’ll see families with their ice shanty’s (or lounge chairs for the brave) resting all along the 120-mile long sheet of ice, with their augers by their side and their flag tips up, waiting for that big bite. There are 40 lakes in Vermont that are open for ice fishing, starting on the 3rd Saturday of January, thru March 15. The fish that are abundant during this season are trout, salmon, walleye, panfish, and Northern pike, bass. The season begins with one free fishing day in January, so you can bring your friends in order to introduce them to the sport without making a financial commitment. Ice fishing provides the chilly winter with a glimmer of fun, something that most people find is difficult in a place that gets as cold as we do. You learn to keep yourself busy with the winter sports, and fishing is one of the best.